There are many advantages to owning a custom precision rifle built at Dixie GunWorx. We understand that durability, accuracy, and performance of the firearm are essential. At DGX, there are many options available to get a premium quality, custom precision rifle that will give you the ultimate shooting experience. DGX has the resources, knowledge, and skills necessary to modify and upgrade any rifle that you currently own, or to start from scratch to build the exact firearm that you want at a price that you can afford. 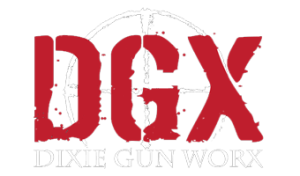 Our method for customizing rifles at DGX is different from that of a typical firearm store. Instead of purchasing a product or firearm equipped with basic stock components, then further purchasing expensive pieces to improve or change its performance, DGX can build your firearm from the ground up. We will walk you through the decision-making process in order to give your rifle premium components that will ultimately give you the performance that you are looking for. This methodology in customizing rifles at the beginning and throughout production, versus piece-by-piece enhancement, will ultimately allow you to save time and money, and will give you a truly customized product that surpasses any product found elsewhere. Regardless of whether you are customizing a previously purchased rifle, or building a rifle from the ground up, DGX takes the time to understand exactly what you are looking for in a rifle, educate you in the best quality products available to meet your needs, and tailors the experience to give you exactly what you are looking for, the first time. Stop by our store today to see what options we have available for you.